Support your local community by hosting a white clothing bin or an indoor tote. 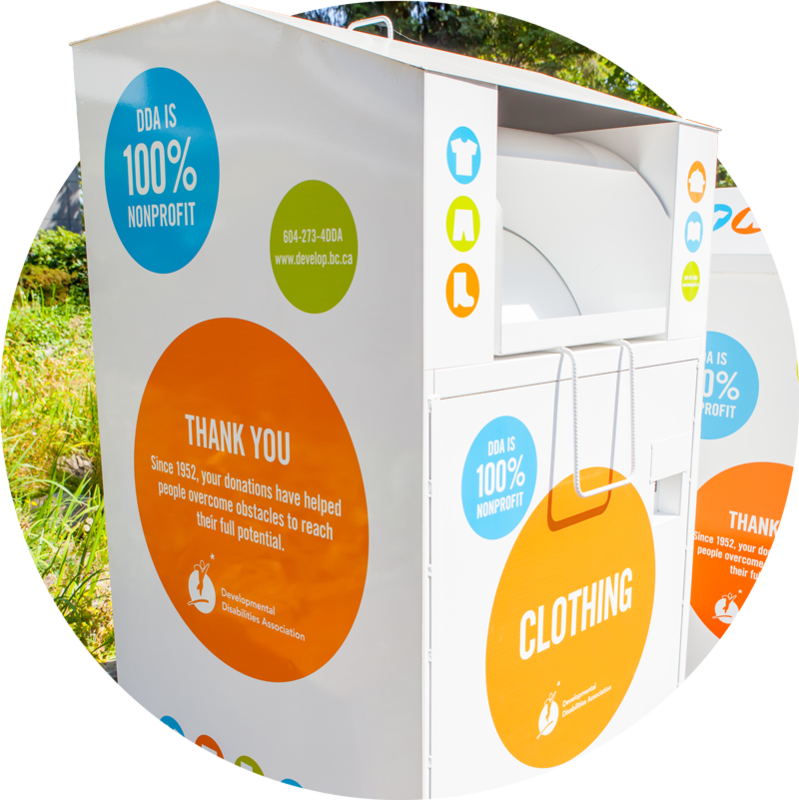 DDA operates clothing bins across the Lower Mainland from Squamish to Abbotsford/Mission. Support your local community as a clothing bin host. 100% proceeds received from our clothing, housewares and bottle donations benefit individuals with developmental disabilities. Recognized for supporting a local non-profit. Create a healthier community and planet by being a leader in textile recycling. There is no cost to you for regular removal of unwanted clothing, linen, shoes, housewares and books. 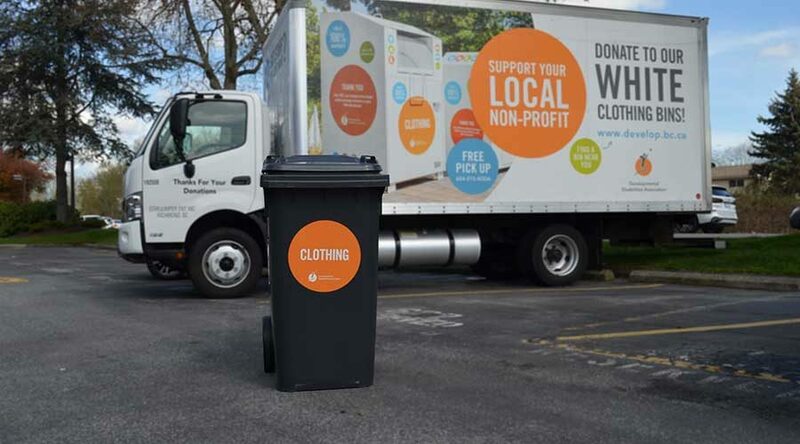 Hosting a residential donation bin or tote provides an easy way to donate your used items without having to leave your building. They are a convenient way to encourage residents to take part in spring cleaning and also manage move-in/move-outs for rental buildings. Our residential donation bin program offers three different sized bins/totes, and are perfect for garbage/recycling rooms. Hosting a bin is easy. Once you decide to be a bin host, we take care of the rest! All equipment will be dropped off and set up with regular pick-up scheduled around your business needs. We fully service and maintain our bins with dedicated maintenance staff ensuring our bins are clean and functional. Our dedicated maintenance staff will service and maintain your clothing bin, ensuring it remains clean and functional at all times. For more information and benefits about hosting a DDA clothing bin, download our brochure below.